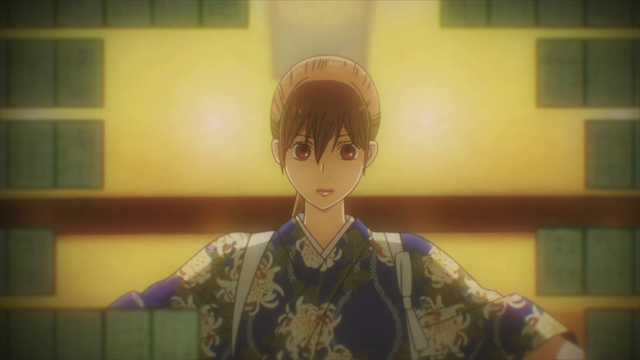 Chihayafuru season 2 begins, and Ayase Chihaya will rule the tatami mat once more. 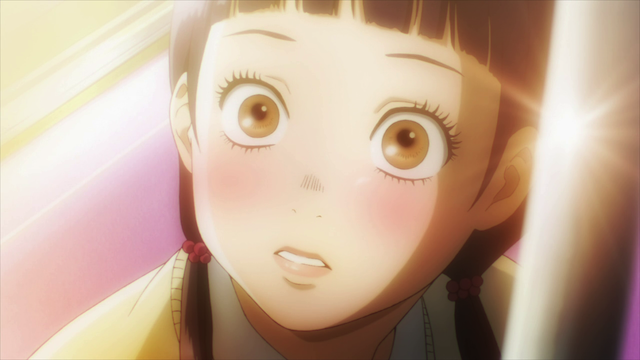 The first episode of Chihayafuru season 2 was pretty good. there were some allusions to events and characters from the first season, but the show didn’t get bogged down in rehashing old material. New challenges surfaced without completely forgetting the promising direction things were going at the end of the first season. Obviously, as a first episode, the show is mostly setting expectations and introducing characters. It was great to see that the show will still look great, and have the mix of comedy and romance and competitive sports that were so successful in the first season. I also am very happy that Kousuke Hamada is credited with the music for this season, because the soundtrack to season 1 was really phenomenal. Sumire Hanano gets a dose of reality. As to the content of the episode itself, much of it was about the crisis revealed at the end of season 1. The Karuta club needs to increase membership, so they attempt to recruit freshmen. One of their new underclassmen is quite a handful, and we get to see the Karuta club from her perspective.